“A Midsummer Night’s Dream”, staged in a contemporary setting and giving students the opportunity to perform some of the essential roles in the play. For KS3, KS4 and A Level students, we offer an on-going programme of Shakespearian workshops. We bring SHAKESPEARE’S plays to life in an entertaining and accessible way, exploring his themes and characters. 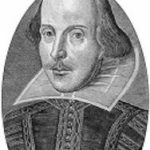 Whilst we tend to focus on the set texts of the National Curriculum required for GCSE, A Level and other examinations, we are happy to consider other Shakespearian plays so please contact us and let us know your needs.